The sun going down over the vineyards in Bierzo - time to fire up the grill and break out the tapas. Long-time Spanish wine expert and journalist, Gerry Dawes has finally tossed his hat back in the ring of the wine trade here in the United States, creating a new Spanish wine import company that is focused on searching out old school Spanish wines of great character that have resisted (or studiously ignored) the modern trend towards high alcohol and over-oaked wines that have plagued many of the most well-known properties on the Iberian peninsula during the last couple of decades. 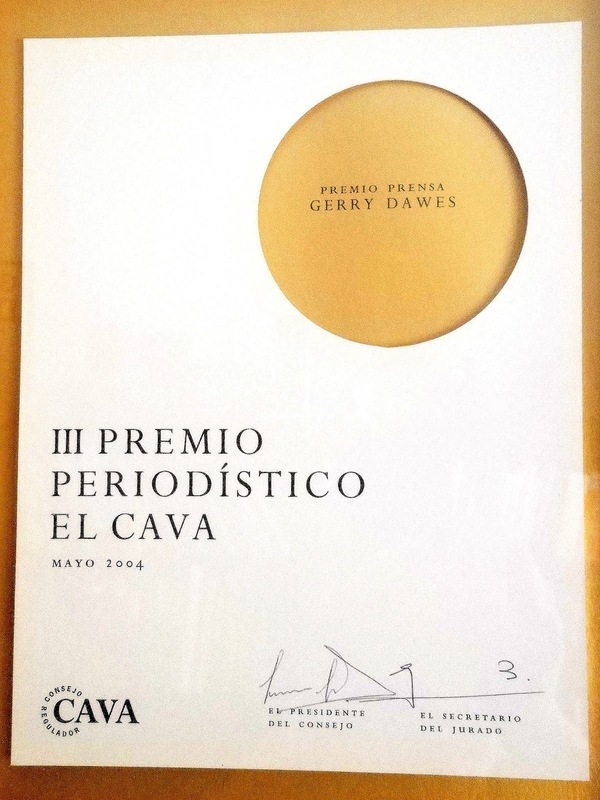 Señor Dawes is probably the most vociferous opponent of excessive new oak to be found in the world of wine since the passing of Bartolo Mascarello, and he is no fan of the very heady and overripe style of winemaking that has been championed in many other journalistic circles behind the banner of Spain’s “Mediterranean Wine” fiction, which argues unpersuasively that Spain’s natural wine proclivity is to make overripe and alcoholic wines due to the limitations of its Mediterranean climate. 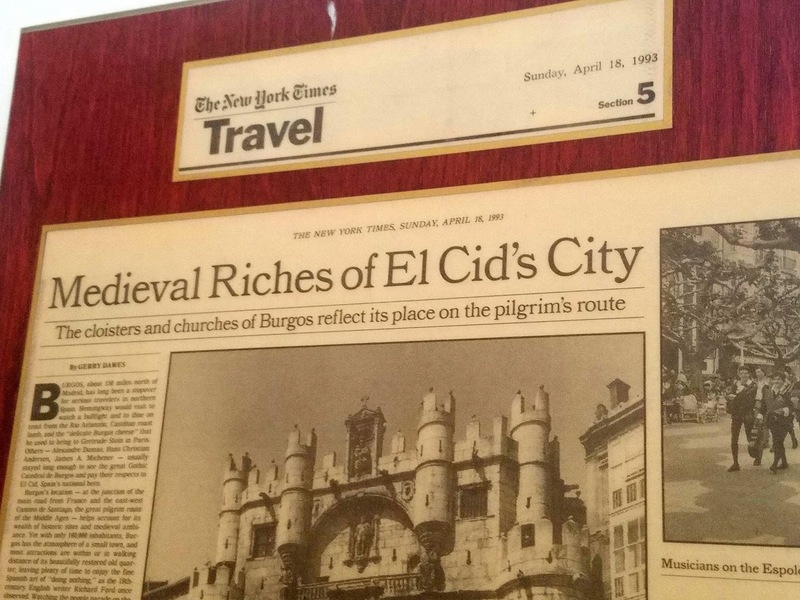 Spain’s important native wine critic, Victor de la Serna of the publication, El Mundo, has long argued for this fantasy in the face of an historical legacy to the contrary, which helped provide the propaganda program behind which so many Spanish wineries sought to maximize profitability by fashioning wines solely for the over the top tastes of Robert Parker’s associate, Jay Miller, who has just retired from covering Spain for the Parker empire. 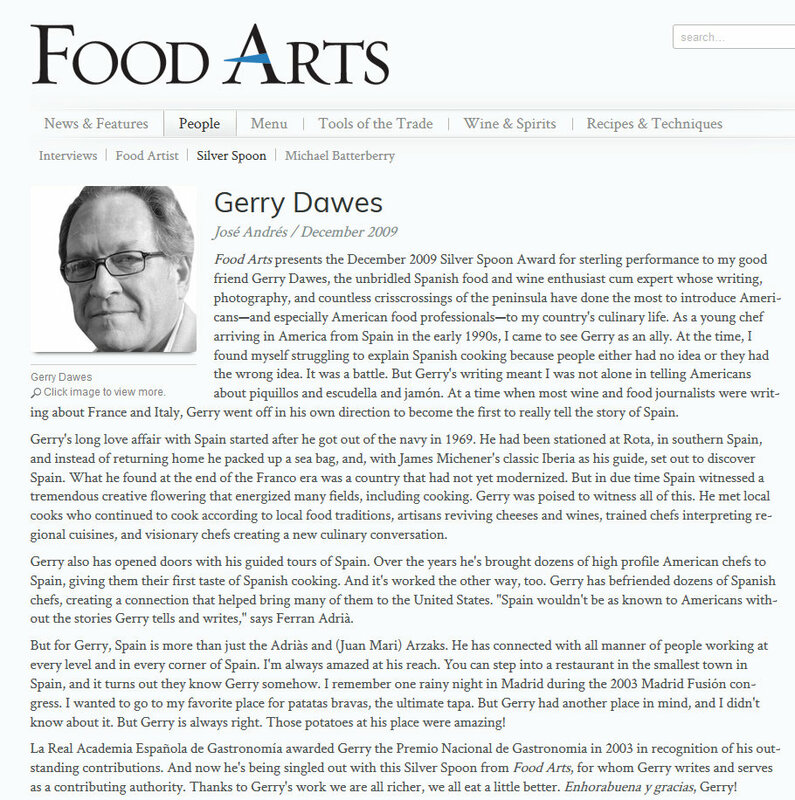 Gerry Dawes has long been a journalistic counterpoint to the “Mediterranean Wine” armada, and in the last several months has created an import company to search out traditionally-styled Spanish wines that steer clear of the alcoholic hubris that has marred so many new and formerly great wine-producing estates in Spain in the last fifteen or twenty years. 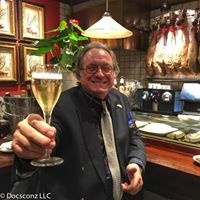 I have now had a handful of opportunities to taste through the wines in Gerry’s new import portfolio, which he has dubbed The Spanish Artisan Wine Group. Not surprisingly, given Gerry’s long history of visiting in Spain and knowing the wine regions of the country inside out, his roster of small and very serious winegrowers is as fine a group of classic Spanish wines as one is likely to find under one umbrella. I had intended to feature these wines as part of a larger piece on Traditionally-styled Spanish wines in a coming issue, but thought the breadth and depth of selections in the Dawes’ portfolio was sufficiently exciting to warrant a feature on their own particularly since many of these wines are made in very, very small quantities, and if I sat on the notes for a few months and included them in the upcoming feature, it is quite likely that many of these superb wines would already be sold out of the market. So, I have decided to get these notes published as quickly as possible to ensure that readers who are so inclined might have the opportunity to track down some of these truly exceptional wines prior to their disappearing from the market. The heart and soul of the Spanish Artisan Wine Group’s lineup are superb bottlings of Mencía on the red side of the ledger, and a great set of producers making stunning Albariño on one hand, and another group working their magic with Godello on the white wine side of the ledger. This is not to say that there are not some equally superb wines to be found here amongst Señor Dawes’ selections that are not made from one of these three grapes (in fact, there is a simply stunning, old vine Garnaxta from Camino del Villar Viña Aliaga that Gerry is not particularly fond of- given its riper style in comparison to most of the wines found in his portfolio- but which should absolutely not be missed! ), so one would be foolish to focus exclusively on the small growers producing Mencía, Godello and Albariño in the roster of tinyestates represented here. But, that said, there is no denying that the Spanish Artisan Wine Group’s lineup of producers of Mencía, Godello and Albariño are all absolutely exceptional andevery bit as fine as anything I have ever tasted from these three grape varieties. In particular, his roster of Albariño producers are spectacular, with each estate emphatically showing just how great the wines from this grape can be when produced from low yields and old vines. Along with Albariño producers represented here in the US by José Pastor, such as Pedralonga, Raul Pérez and Do Ferreiro, the likes of Spanish Artisan Wine & Spirits Group producers such as Lagar de Broullón, O'Forollo, Avó Roxo, Cabaleiro do Val and Rozas are redefining just what Albariño can and should be and are amongst some of the most exciting new (at least to me) dry white wines that I have tasted in several years. 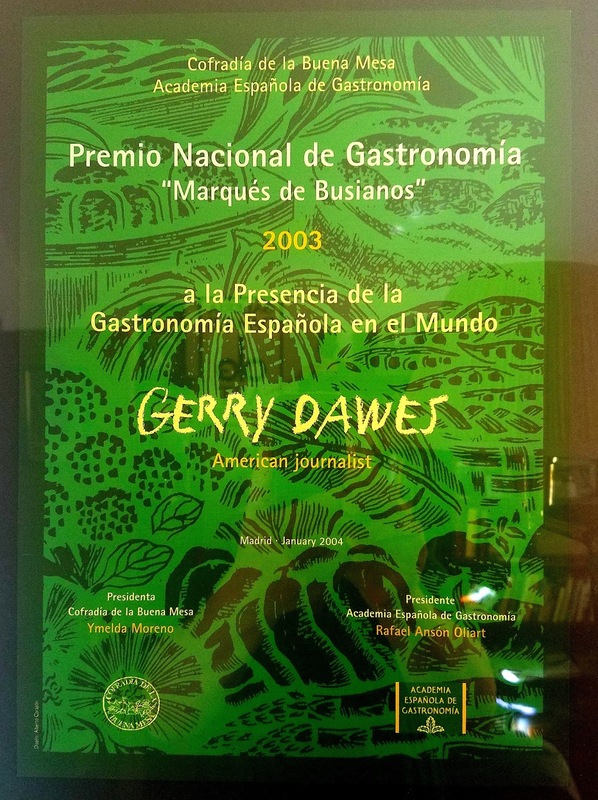 In fact, Gerry’s roster of Albariño producers is so superb that he generally saves them for the end of tastings, starting with reds and Rosado bottlings and letting the Albariño producers finish off the festivities at the two events I attended! I first tasted several of these wines at the start of March of this year, as the wines were just scheduling to depart from Spain (and I for a month-long swing through France and Germany), and then followed up with a second tasting in late May when the wines had fully arrived here in New York. Both tastings emphasized that Señor Dawes’ lineup is chock full of outstanding producers new to the export markets and who are fashioning absolutely stellar, old school wines that are long on terroir, purity of fruit, tangy acids and great personality that are derived from their traditional places of origin, rather than from a tony French tonnelier or trendy international winemaking consultant. While I have not yet had the pleasure to visit and taste in the cellars with these producers, it is now at the top of my list for future tasting trips and it will not be long until I have the pleasure to meet these vignerons in person and get a better feel for their philosophies and vineyard landscapes. For, these are really superb wines and some of the most exciting new producers to cross my path in several years. For subscribers not located here in the states, I am sure that these small artisan producers would be delighted to be contacted directly about the availability of their wines, as there is little doubt that they are currently swimming upstream from the more “typical” Spanish wine market at home (still seemingly enamored of alcoholic clout and tons of new wood) and would be amenable to sharing a few of their great bottles with sympathetic private clients from around the continent. different mix than the 2010 reviewed below. The wine tips the scales at 12.7 percent alcohol and offers up a fine bouquet of white peach, lemon, a beautiful base of white soil tones, a touch of candied lemon peel (think mature Raveneau Chablis), pretty spice tones and a beautifully musky floral topnote redolent of honeysuckle. On the palate the wine is fullish, complex and beautifully balanced, with lovely, ripe acids, fine focus and grip and a very long, classy finish that really does its best work at the table. A really lovely bottle of Ribeiro white wine. Fine juice that is still fairly young and will clearly develop secondary layers of complexity with further bottle age. 2012-2018. 91+. The 2010 Finca Teira is a blend of seventy percent Treixadura, twenty percent Godello and ten percent Alvilla. It weighs in at a cool 12.5 percent alcohol and is a lovely middleweight, offering up a complex nose of lemon, grapefruit, salty soil tones, citrus peel and a touch of beeswax in the upper register. On the palate the wine is medium-full, bright and very wellbalanced, with perfectly respectable depth in the mid-palate, good focus and fine length and grip on the finish. This is not exactly snappy today, but it remains fresh and vibrant for near-term drinking. 2012-2015. 89. Young Manuel Formigo de la Fuente is the winegrower now in charge of his family’s vineyards in Ribeiro, tucked in a corner of Galicia just above the Portuguese border in northwestern Spain. The estate’s “Teira X” bottling hails from some of their oldest vines in their top vineyard site, Finca Miño Teira, and is a blend of sixty percent Treixadura, fifteen percent each Albariño and Alvilla and ten percent Loureira. Only a few hundred cases are produced each vintage. This is a more structured and slightly riper (thirteen versus 12.5 percent) wine than the estate’s Finca Teira Blanco, with more mid-palate depth and a superior backbone of acidity. The 2010 is an absolutely superb wine, jumping from the glass in a vibrant mélange of lemon, fresh bay leaf, stony white soil tones, orange peel and a dollop of petrol. On the palate the wine is deep, full-bodied, complex and beautifully soil-driven, with sound acids, lovely focus and simply exceptional length and grip on the finish. A superb bottle. 2012-2018. 92. The 2010 Sabatelius Blanco is a blend of sixty percent Godello and forty percent Treixadura and is a terrific bottle. The stylish and complex nose wafts from the glass in a blend of pink grapefruit, beeswax, tart melon, lemon peel, salty soil tones, a touch of green olive and a top note of resinous herbs. On the palate the wine is vibrant, medium-full and complex, with a fine core of fruit, bright acids, excellent focus and grip and a long, pure and transparent finish. Fine juice. 2012-2018. 92.
vibrant, with lovely intensity of flavor, a fine core, crisp acids and lovely length and grip on the beautifully focused finish. This is a really lovely bottle. 2012-2018. 91+. 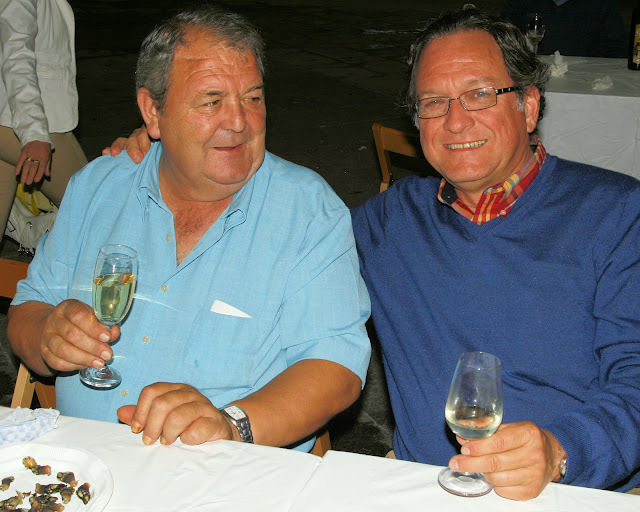 Spanish Artisan Wine Group founder Gerry Dawes (right), enjoying a glass of Cabaleiro do Val Albariño with winegrower Paco Dovalo López. Albariño has long been considered one of Spain’s finest white wine grapes, but much of its history has been marked by unfulfilled potential, as the low prices that most of these wines sold for on the international market simply dictated that the grape had to be cropped high in order for wine- growers to survive economically and make a living sufficient to keep their families fed and sheltered. Happily, one is beginning to see more examples of Albariño these days that are clearly focused on maximizing the potential quality of the varietal by keeping yields much lower and searching out blocks of old vines, with the resulting wines showing a dramatically different profile of complexity and depth of flavor than was the case when the only way for a winegrower to survive with this variety was to over-crop and try to get by on volume. Much the same phenomenon can be seen in a French appellation such as Sancerre, where there continues to be oceans of rather dilute, simple and easy-drinking wine produced from very high crop yields, but where the greatest producers of the region- people such as Edmond and Anne Vatan, the Cotat cousins, Gérard Boulay and others have shown just how profound a wine can be produced from sauvignon blanc in the best terroirs of Sancerre when yields are kept down and the wines are crafted to maximize quality and complexity, rather than simply aiming to make a profit through volume. A similar push upwards in quality can be seen in the region of Rías Biaxas with Albariño, and the last couple of years have seen some absolutely brilliant examples cross my path from some of the top producers in the region. Prior to tasting these wines, I never imagined that Albariño could produce such profoundly complex, intensely flavored and ageworthy wines, and this new trend may well be one of the most exciting today in all of Spain. to form a quality-oriented growers’ association, which they dubbed the “Asociación de Bodegas Artesanas”, and six of these estates are now part of Señor Dawes’ portfolio. One of the chief tenets of the producers in this association, besides low yields and old vines is the use solely of indigenous yeasts for the fermentation of their wines. These top estates also differ from much of the more commercially-oriented Albariño out there in choosing to bottle their wines significantly later than is customary in the more quantity-oriented houses, allowing the wines to nurture on their fine lees typically until mid-summer of the following year after the harvest. The growers reported on below from The Spanish Artisan Wine Group are certainly amongst the very finest of this new genre of “quality over quantity” Albariño producers, and there are very few other vignerons working with this grape with whom I have experience that can match the stunning quality of these wines. Adega Avó Roxo is currently run by Antonio Gondar Moldes, who took over the management of the family estate only in 2007. His grandfather, Serafin Gondar began production here in the 1930s and this was at one time one of the most famous wineries in the region, winning several awards as late as the 1970s. The family vineyard is one and a half hectares in size and planted entirely to Albariño and Antonio Gondar Moldes is dedicated to taking the quality here to the highest level, and Avó Roxo is one of the most recent inductees into the growers’ association in the region. His 2010 Albariño is a stunning wine, soaring from the glass in a blaze of tart orange, lime, stony, salty minerality, a touch of green olive, ocean breeze and a smoky topnote. On the palate the wine is deep, full-bodied and very transparent, with a great core of fruit, crisp acids, outstanding focus and balance and superb grip on the very, very long finish. This is a stunning example of Albariño! 2012-2020. 95. The Adega of Cabaleiro do Val is owned by Francisco “Paco” Dovalo López, who founded and is the current president of the Growers’ Association here. While the winery was only officially incorporated in 1989, the family winegrowing traditions here go back centuries and Señor Dovalo López has some extremely old vines in his vineyard. He has taken selection massale cuttings from some of his one hundred and fifty year-old vines to use for replanting purposes, thus retaining the unique character of his outstanding Albariños. The 2010 offering from Cabaleiro do Val is absolutely outstanding, jumping from the glass in a deep, complex and gently leesy mélange of grapefruit, orange peel, stony minerality, lemongrass and a smoky topnote. On the palate the wine is deep, full-bodied, complex and rock solid at the core, with snappy acids, laser-like focus and simply exquisite length and grip on the perfectly balanced and soil-driven finish. This is a brilliant Albariño! 2012-2020+. 94+. Lagar de Broullón is owned by José Pintos, who farms this two and a half hectare vineyard in the village of Meaño, which is one of the very finest for Albariño in the Val de Salnés section of Rías Biaxas. The vineyard is situated with a south by southwest exposition, allowing the grapes to reach fine ripeness each year and still maintain a great base of minerality. The 2010 from Señor Pintos is a beautiful wine, offering up a deep and vibrant nose of fresh lime, green apple, salty oceanic tones, citrus peel, a bit of lemongrass and a great base of stony minerality. On the palate the wine is deep, full-bodied, complex and classy, with a superb core of fruit, crisp acids and lovely length and grip on the perfectly focused finish. High class juice! 2012-2020. 93. Eulogio Gondar is the owner and winegrower at Lagar de Candes, and he represents the fourth generation of his family to head this small estate, which is also located in the village of Meaño, in the Val de Salnés section of Rías Biaxas. The soils here are granitic in nature, producing beautifully mineral expressions of Albariño. The 2010 from Lagar de Candes is a lovely wine, wafting from the glass in a complex mix of tangerine, elegant leesy tones, pulverized stone, lime zest and a saline topnote of the ocean. On the palate the wine is pure, medium-full and zesty, with lovely complexity, very good mid-palate depth, sound framing acids and lovely length and grip on the focused and classy finish. This does not quite possess quite the same “electricity” on the backend as the very best Albariños in this lineup, but it is a superb bottle of wine. 2012-2016. 90+. Bodega Meis Otero is owned and operated by the Fernando Meis Otero, who is one of the very youngest members of the Asociación de Bodegas Artesanas. He took over the reins of the family bodega in 2001. Like many of his fellow members of the growers’ association, his vineyards are located in the Val de Salnés. The family’s one and a half hectares of vines used to be planted to a mix of regional grapes, but Fernand Meis Otero’s father took the step to plant exclusively Albariño here in the early 1980s. Thus, the vineyards are just now coming into their prime as they close in on thirty years of age. The 2010 O’Forrollo Albariño is an outstanding wine, delivering a deep and very complex nose of sweet grapefruit, pulverized stone, orange peel, briny oceanic overtones, lemongrass and a touch of acacia blossom in the upper register. On the palate the wine is deep, fullish, complex and very classy, with a superb core of fruit, laser-like focus, outstanding intensity of flavor and superb length and grip on the beautifullybalanced finish that closes with a distinct note of orange peel. Lovely juice. 2012-2020. 93. Adega Rozas is located in the village of Meaño in the Val de Salnés and is run by winegrower Manolo Dovalo. This family estate goes back several generations, and its 6.3 hectares of vineyards are loaded with old vines- many dating back more than two generations! Señor Dovalo insists that it is the very high percentage of old vines in this very favored section of the Val de Salnés that allows him to make such outstanding Albariños. The 2010 Rozas is simply stunning, soaring from the glass in a complex blaze of lime zest, tart orange, kaleidoscopic minerality, lemongrass, gentle leesy tones and a smoky topnote. On the palate the wine is deep, full-bodied and very racy, with a rock solid core of fruit, brisk acids, laser-like focus and simply stunning length and grip on the very minerally and magically complex finish. This is as magical a glass of Albariño as I have ever had the pleasure to taste! 2012-2020+. 96+. The 2011 Rosado from Aliaga is a beautiful bottle of dry Rosé that is drinking superbly out of the blocks, but shows every indication of improving with a year or two of bottle age. Made from one hundred percent Garnacha, with its color arrived at by a bit of skin contact, the 2011 offers up a deep and stunning nose of blood orange, cherries, rose petals, lovely, chalky soil tones and a bit of orange peel in the upper register. On the palate the wine is deep, fullbodied and beautifully balanced, with a lovey core of fruit, bright acids and excellent focus and grip on the long and classy finish. Just a beautiful bottle of Rosado, with great purity and no “candied” aspects on either the nose or palate. 2012-2016. 92. The Viña Catajarros Rosado from Bodegas Hermanos Merino is made up of a blend of eighty percent tempranillo, five percent Garnacha, and fifteen percent of two white wine grapes, Verdejo (ten percent) and alvillo (five percent). This winery is run by two brothers, Eugenio and his brother Merino, and the estate is a Rosado specialist, with the vast majority of their production comprised of dry rosé (augmented by a bit of red wine). The 2011 Viña Catajarros Rosado offers up a superb and vibrant nose of cherries, orange peel, salty soil tones and a topnote of dried roses. On the palate the wine is deep, full-bodied and tangy, with a superb base of soil, excellent focus and bounce and a very long, complex and classy finish. I would give this superb wine another year of bottle age to really let it blossom, as the 2010 shows that there is more yet to come as this wine develops with a bit of cellaring. High class Rosado here! 2013-2018. 93. The 2010 Viña Catajarros Rosado from Bodegas Hermanos Merino is made up the same blend as the 2011, and the additional year of bottle age has really let this wine come into its own. The 2010 version is a superb bottle of rosé, jumping from the glass in a complex and classy nose of cherries, melon, pomegranate, a touch of spiced meats, orange peel, complex, soil tones and a nice touch of smokiness in the upper register. On the palate the wine is deep, full-bodied and beautifully balanced, with a lovely core of fruit, with gentle framing acids, superb soil signature and excellent length and grip on the complex finish. High class and serious Rosado that shows every indication of continuing to drink well for several more years. 2012-2016+? 93+. Carlos Aliaga’s tempranillo never sees any oak and is raised entirely in stainless steel tanks. It hails from the family’s limestone-based vineyards located in the center of Navarra and is a superb value. The 2010 tips the scales at a very civilized 13.5 percent alcohol and delivers a lot of aromatic and flavor complexity for its very modest price tag. The bouquet is a blend of black cherries, new leather, a touch of chocolate, lovely spice tones, a bit of meatiness and a topnote of violets. On the palate the wine is medium-full, complex and has a bit of ripe tannins on the backend, with a sappy core of fruit, good focus and fine length and grip. This will be even better with a year’s bottle age, but it is already an awful lot of wine for a bargain price! 2012-2020. 87+. The Aliaga family’s old vine Garnacha bottling, which hails from forty to fifty year-old vines is outstanding. Not particularly ripe by contemporary grenache standards, the 2007 weighs in at 13.9 percent alcohol and is raised in a blend of French and American oak- a small percentage of which is new - for six months. 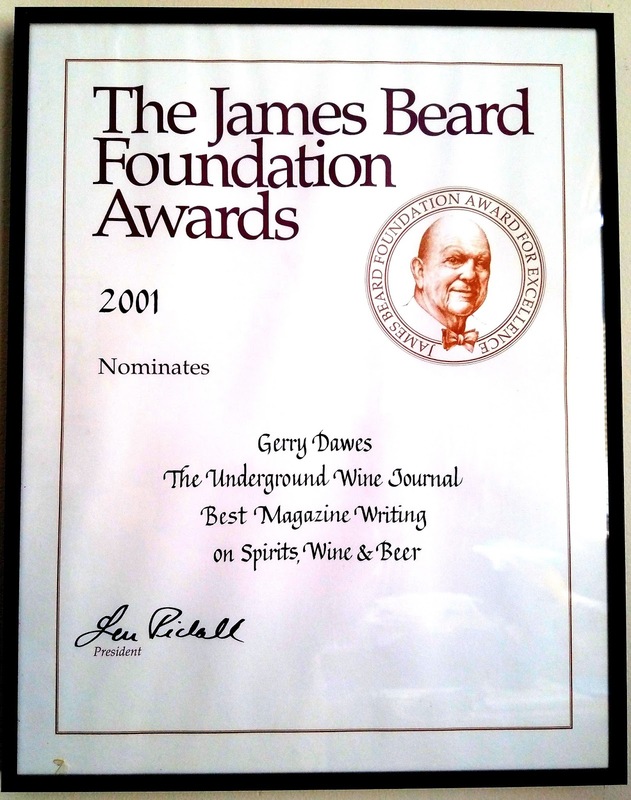 Gerry Dawes is quite funny in commenting that he really does not like this wine, but his customers keep asking for it! It is really an exceptional bottle of Garnacha, offering up a deep, impressively complex and sappy nose of crushed raspberries, a touch of meatiness, gentle notes of chocolate, garrigue, bonfires and a lovely base of chalky soil tones. On the palate the wine is deep, full-bodied and complex, with melting tannins, a fine core of fruit, superb focus and balance and lovely length and grip. This is a high class bottle of grenache that never strays over the line into jammy obsequiousness and is another dynamite value from this superb producer. 2012-2020+. 92. The 2007 Colección Privada Tinto from Camino del Villar Viña Aliaga is a blend of eighty percent tempranillo and twenty percent cabernet sauvignon and is aged again in a blend of French and American oak, this time for twelve months duration, and with the percentage of new wood slightly higher than for the Garnacha Vieja. The nose on the 2007 is deep and complex, with a nice, old school feel to its mélange of black cherries, grilled meats, coffee grounds, cigar some and a lovely base of dark soil tones. On the palate the wine is deep, full-bodied and “nobly rustic”, with a superb core of fruit, modest tannins and excellent length and grip on the backend. This is not quite as complex as the Garnacha 2007, but it too is a very good bottle of wine. 2012-2020. 89. José Manuel Rodríguez is the head of the growers’ association and regulatory agency of Ribeira Sacra, and makes one of the finest examples of Mencía I have ever had the pleasure to taste. Like the Don Bernardino Mencía, these two lovely vintages of Décima hail from very steep vineyards overlooking the Sil River in the village of Amandi. The 2011 Décima weighs in at a very classic octane of 12.5 percent and roars from the glass in a sophisticated and utterly classic nose of pomegranate, lead pencil, slate, a nice touch of gamebird, coffee bean and a gentle medicinal topnote that is vaguely reminiscent of Hermitage. On the palate the wine is fullish, complex and very intensely flavored, with laser-like focus, fine mid-palate depth, tangy acids and great length and grip on the very softly tannic finish. Utterly classic Mencía! 2012-2020+. 94. Roberto Regal’s production is miniscule, as he owns only about one hectare of Mencía vines here in a very steep vineyard overlooking the Miño River. There are just a handful of older indigenous varieties also in the vineyard here, so Señor Regal makes a field blend of these with his Mencía to produce this superb wine. The 2011 Toalde is outstanding, offering up a deep and complex bouquet of black cherries, pomegranate, a touch of nutskin, a lovely base of slate and granitic minerality, smoke and a gentle topnote of fresh herbs. On the palate the wine is deep, fullish, long and very sappy in the mid-palate, with fine focus and balance and a long, suave and bouncy finish. This is a lovely wine. 2012-2018. 91+. The Viña Barroca Mencía bottling from Bodegas Adriá hails from thirty to sixty year-old vines grown on hillside vineyards that range from 450 to a 1000 meters above sea level. The soils here in Bierzo are not the pure slate one finds in Ribeira Sacra, but rather a mix of quartz, clay and slate. The 2010 Viña Barroca Mencía was aged entirely in stainless steel and given four months additional bottle age prior to release and weighs in at a ripe 13.5 percent alcohol. The nose is deep and classy, offering up a youthful mélange of dark berries, medicinal black cherries, a touch of tree bark, graphite, garrigue and a fine base of soil that seems to show a slightly ferrous complexity. On the palate the wine is deep, fullish and intensely flavored, with lovely transparency, a solid core, fine focus and excellent length and grip on the complex and classy finish. 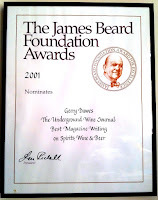 I should note that I tasted this wine twice, with the wine once popped and poured and on the other occasion given one hour in decanter prior to serving. The additional aeration made a world of difference in allowing this young wine to blossom fully and decanting is very much recommended for this fine wine. This is a stunning value! 2012-2020. 92. 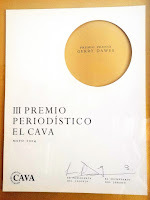 Adegas D. Berna is a specialist in Godello, but their 2010 Mencía d’Berna is also a splendid wine and not to be overlooked with all the white wine fireworks being crafted in the cellars and vine- yards here by the estate’s (regionally) well-known and very talented consultant, José Luis Murcia. This is an absolutely classic example of Mencía, offering up a superb aromatic mélange of dark berries, pomegranate, a touch of tree bark, spice tones redolent of cumin, a bit of bitter chocolate and a lovely base of complex, stony soil tones. On the palate the wine is deep, fullish and very intensely flavored, with a sappy core of fruit, tangy acids, excellent focus and grip and a very long, complex finish that stays light on its feet all the way to the conclusion. There is just a faint touch of volatile acidity to this beauty when it is first opened, so a short stint in decanter is quite beneficial. Fine, fine juice. 2012-2017. 92+. 2010 Décima Mencía from José Manuel Rodríguez is another absolute classic in the making. The deep and utterly refined nose soars from the glass in a mélange of black cherries, pomegranate, a touch of road tar, bonfires, fresh herb tones, cracked pepper and a gloriously pure and complex base of slate. On the palate the wine is deep, fullish and very intensely flavored, with a sappy core, tangy acids, exquisite balance and a very, very long, focused and refined finish. The 2010 Décima Mencía is a beautifully crafted, complex and refined wine that is very pure and precise on both the nose and palate. It is still a young wine that will continue to blossom with further bottle age, but there is nothing structurally forbidding about the wine today and it will be a very difficult task keeping this wine in the cellar and not drinking it right away. Great juice. 2012-2025. 94. Primitivo Lareu is a superb winemaker on the far western end of Ribeira Sacra, located in the sub-region of Chantada, which happens to be the coolest vineyard area in all of Ribeira Sacra. In addition to his winegrowing responsibilities, Señor Lareu is also a sculptor and painter, but first and foremost these days, he is a serious viticulturist bent on extracting as much terroir from his vineyards and producing as transparent a glass of wine as possible. His 2010 Mencía is outstanding, offering up a stunning and sappy nose of pomegranate, black cherries, woodsmoke, beautifully complex herbal tones, espresso and a superb base of stony, slate soil. On the palate the wine is deep, medium-full and dancing on the palate, with superb lightness of step coupled to excellent intensity. The wine is impressively complex and focused, with bright acids, little tannin and outstanding length and grip on the bouncy finish. Superb juice. 2012-2020+. 93+. The 2010 Toalde from Roberto Regal is excellent, wafting from the glass in a smoky mélange of dark berries, black cherries, espresso, tree bark, stony soil tones, fresh herbs and woodsmoke. On the palate the wine is deep, fullish and intensely flavored, with lovely transparency, very good mid-palate depth and superb length and grip on the focused and complex finish. This wine is very light on its feet and yet packs plenty of intensity. I suspect it will prove to be a touch longer-lived than the equally fine 2011 Toalde bottling. Classic Ribeira Sacra. 2012-2020+. 92. Viña Cazoga has a long history of fine wine production in the Ribeira Sacra and was once one of the largest and most important estates in the area, but during the nadir of the region’s fortunes- which really started at the dawn of the twentieth century, when so many of these steep vineyard sites were abandoned and young people emigrated en masse in search of more profitable work- Jorge Carnero’s family’s vineyard holdings in the village of Amandi dwindled down to almost nothing. Jorge’s grandfather, Raimundo Vidal, was instrumental in starting to resurrect the Ribeira Sacra region in the 1970s and today the family owns a single, 3.9 hectare parcel of vines right above the Sil River that was long recognized as the finest vineyard in Ribeira Sacra. Almost the entire vineyard is planted with vines in excess of one hundred years of age, with ninety-five percent planted to Mencía and the balance made up of a mix of Tempranillo and Merenzao. The 2010 Viña Cazoga Mencía is a beautiful wine, offering up a deep, very intense and complex nose of black cherries, pomegranate, black pepper, a touch of spiced meats, slate soil tones, espresso and a topnote of cigar smoke. On the palate the wine is deep, fullbodied and very sappy at the core, with great focus and grip, excellent balance, bright acids, virtually no tannins and outstanding length and grip on the dancing and palate-staining finish. Great Ribeira Sacra! 2012-2020. 94. The Don Diego bottling from Jorge Carnero spends six to twelve months of its elevage in four year-old, five hundred liter French oak barrels prior to bottling and is released after further bottle age. Even using four year-old barrels, the Mencía grape still shows a fair bit of wood influence in this wine, which does make for a markedly different impression than the stainless steel-aged regular bottling. The 2008 offers up a very deep and classy nose of black cherries, bitter chocolate, woodsmoke, lovely soil tones and a nice, generous touch of vanillin oak. On the palate the wine is deep, full-bodied, complex and quite suave on the attack, with a bit less overtly terroir-derived soil tones in evidence. The finish is very long and moderately tannic, and though the wine is focused nicely, there is not quite the same purity and blazing transparency here as is found in the 2010 regular bottling. This is still a very well-made wine, but it seems that the oak takes away a bit more than it adds to the final blend. 2012-2025. 90.